The former Dutch colony of St. Thomas is one of the three main U.S. Virgin Islands. 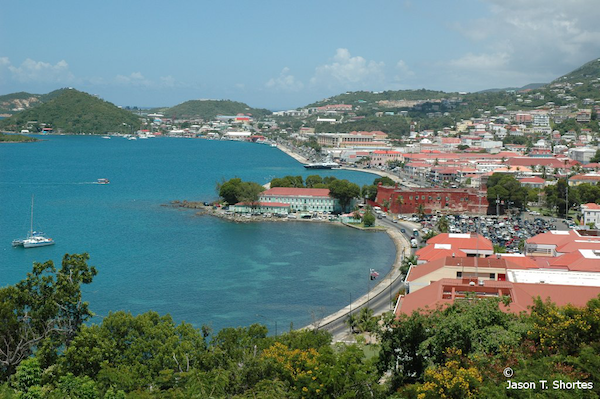 St. Thomas is known for its numerous natural bays and harbors. 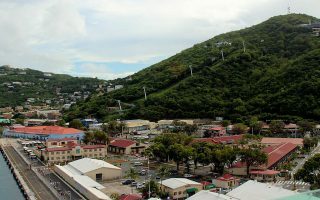 Running on St. Thomas can be somewhat of a challenge, owing to windy and narrow roads (few have sidewalks or shoulders), rugged trails, and beaches that are beautiful but short. One of our favorite places to run on St. Thomas is along the waterfront in the USVI capital of Charlotte Amalie. 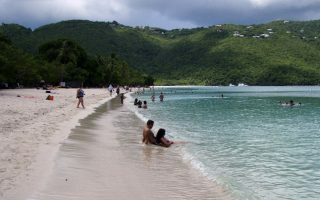 Magen’s Bay is one of the best beaches for running on St. Thomas. There are also some running paths within a few of the popular resorts on St. Thomas, notably the Marriott (and along Morningstar Beach), the Ritz Carlton, and the Sapphire. Note we also have guides for running in the other USVI, St. John and St. Croix. Note that driving on St. Thomas is on the LEFT SIDE of the road.